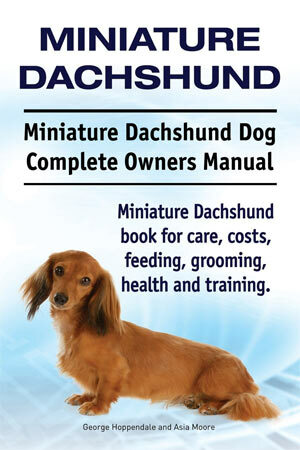 Dachshunds were first introduced to America in the mid to late 1800s. Although the Dachshund was first brought over for their ability to hunt small animals, they quickly won the hearts of the general public. With their unique bodies and independent temperament, they earned a reputation as show dogs and companions. 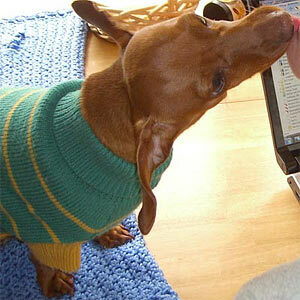 In 1895, Dachshund lovers formed the Dachshund Club of America. By the early 1900s the Dachshund had really won over America so much so that in 1913 the Dachshund breed had one of the largest entries at the Westminster Kennel Club dog show. Soon all of this would change with the start of World War I. Since the Dachshund breed was first developed in Germany, during the war the Dachshund breed was seen as a symbol of Germany and it’s role in the war. The American people turned away from the Dachshunds, even to the point where breeders were shunned, taunted and ridiculed. An interesting tidbit of information here is that the AKC (American Kennel Club) changed the breed’s name to Badger Dog in 1919 in a futile attempt to make it ‘less German’. This name, of course, did not stick. Why are they so popular in America today, you may ask. Well, you see, even though mainland Americans were turning away from the Dachshunds, they were stealing the hearts of others…American servicemen to be exact. Yes, many of our soldiers had fallen in love with the adorable little dogs and brought them back to America after the war. However the pedigree of most of these Dachshunds could not be traced so they could not be registered with the American Kennel Club. But, no matter, they won the hearts of Americans again and became one of the most popular breeds in the United States. How could you not love a dachshund? I mean really, just look at us, we are adorable and sweet as can be!!! !